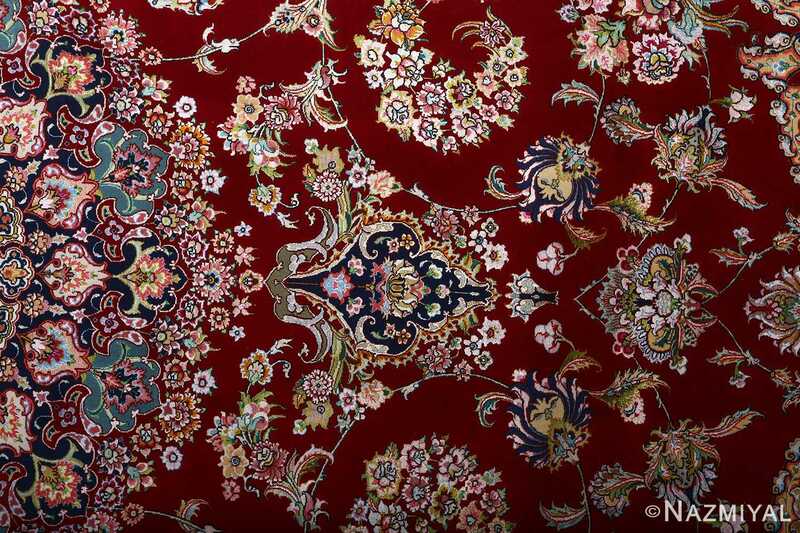 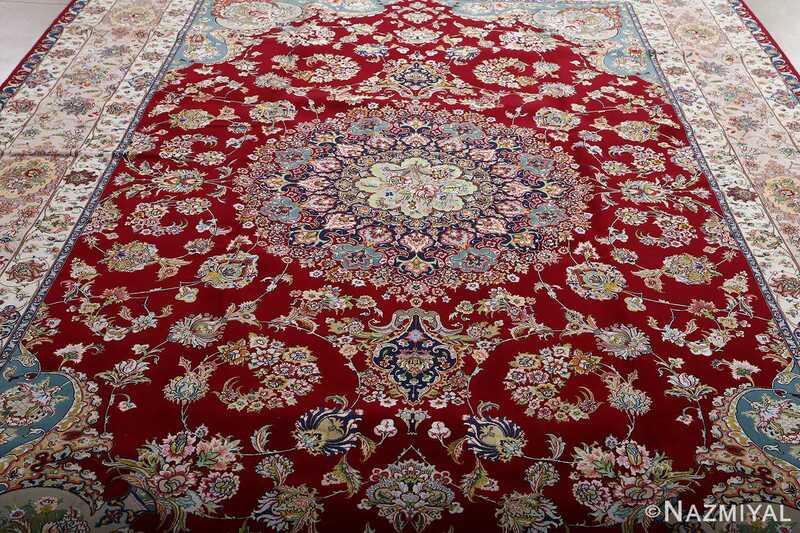 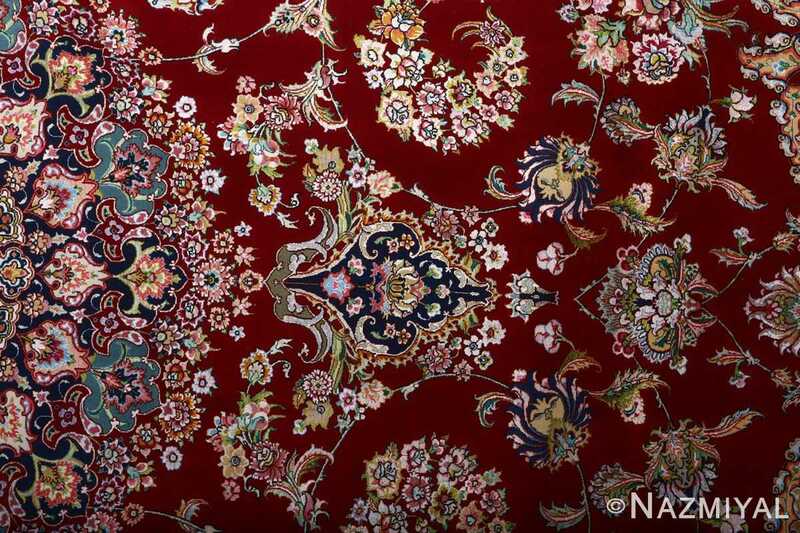 Beautiful and Extremely Fine Vintage Tabriz Persian Rug 51031, Knots Per Square Inch: 725, Country of Origin / Rug Type: Vintage Persian Rug, Circa Date: Late 20th Century – Like many of the beautiful fine vintage Tabriz Persian rugs, this one features a warm, red palette that is tempered by the presence of lighter colors. 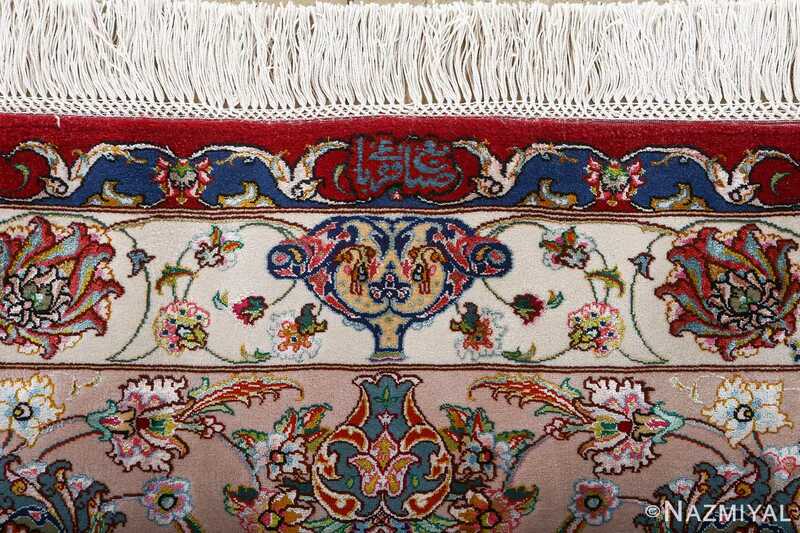 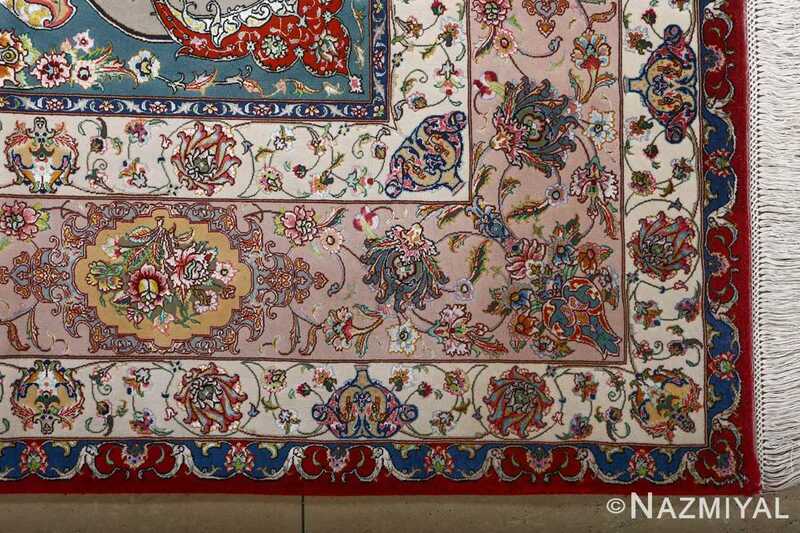 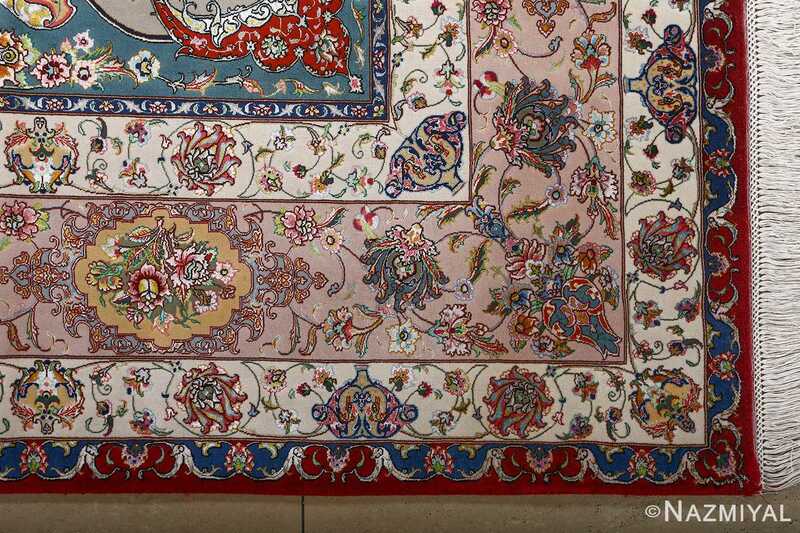 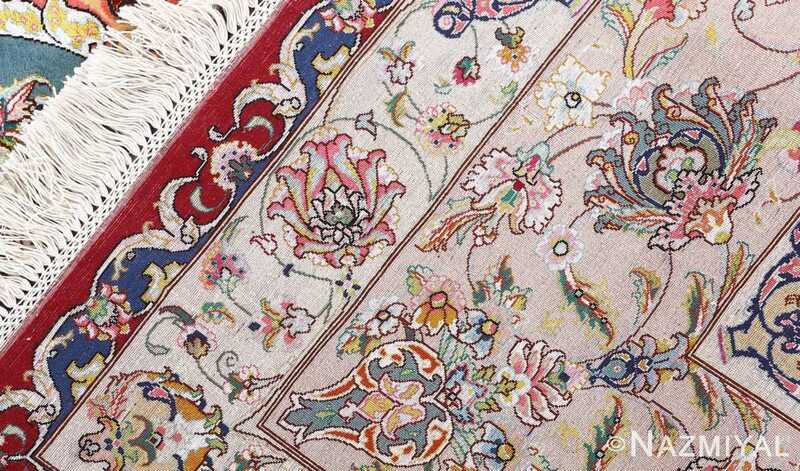 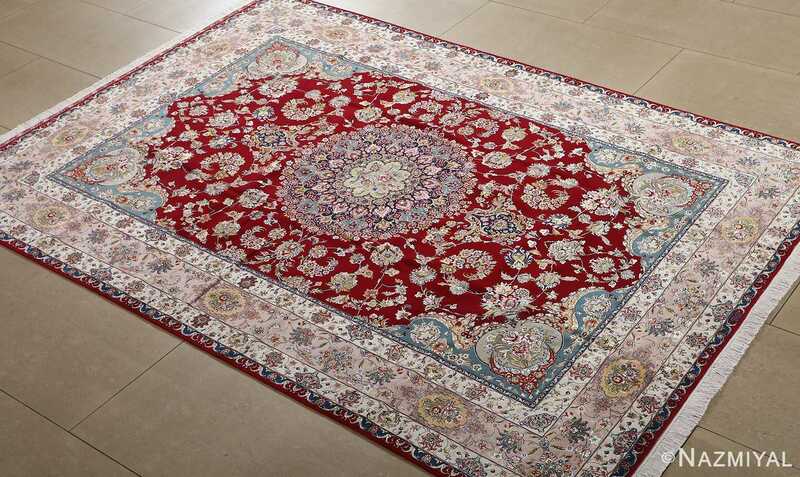 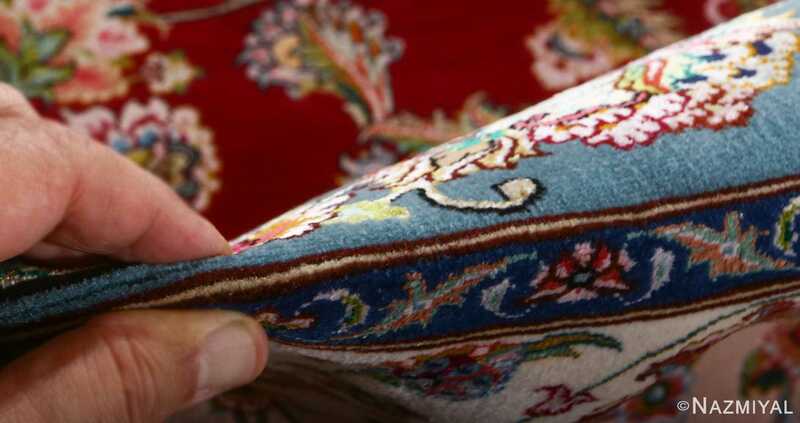 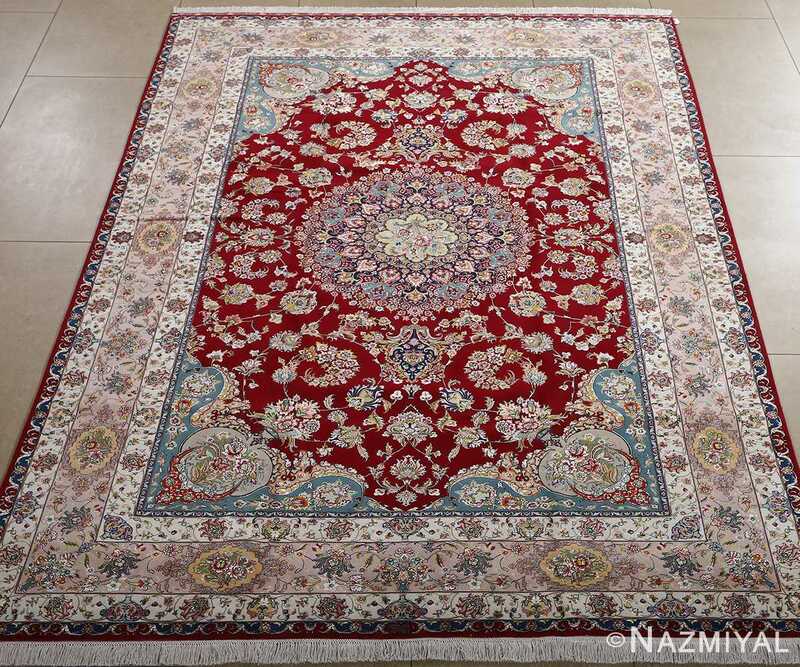 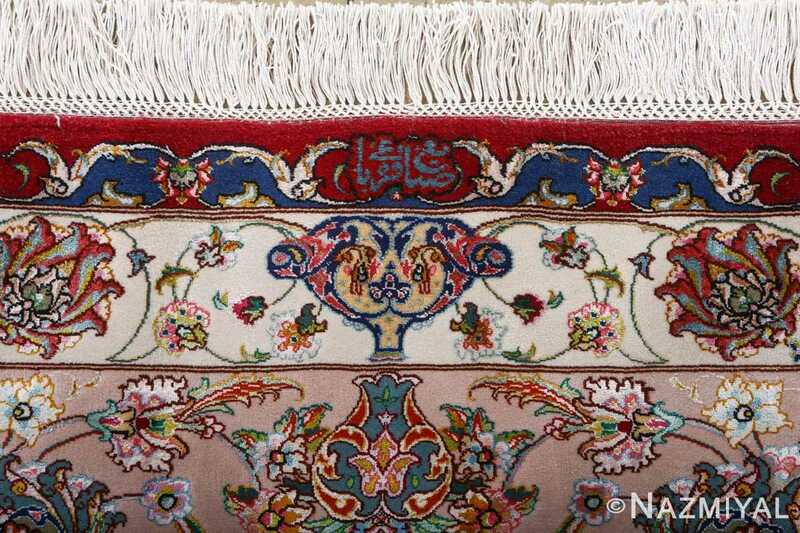 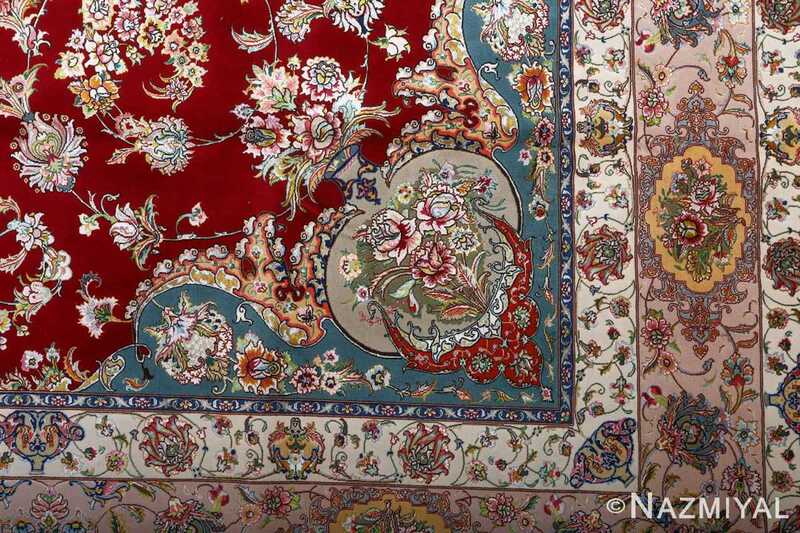 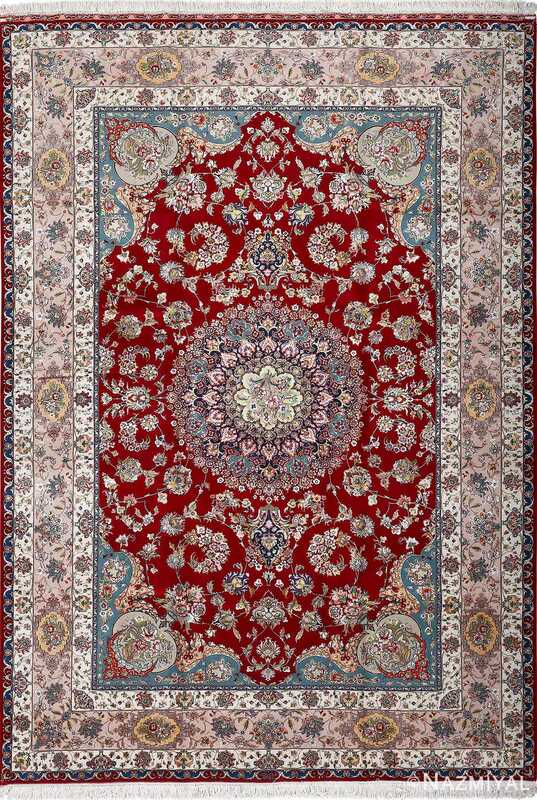 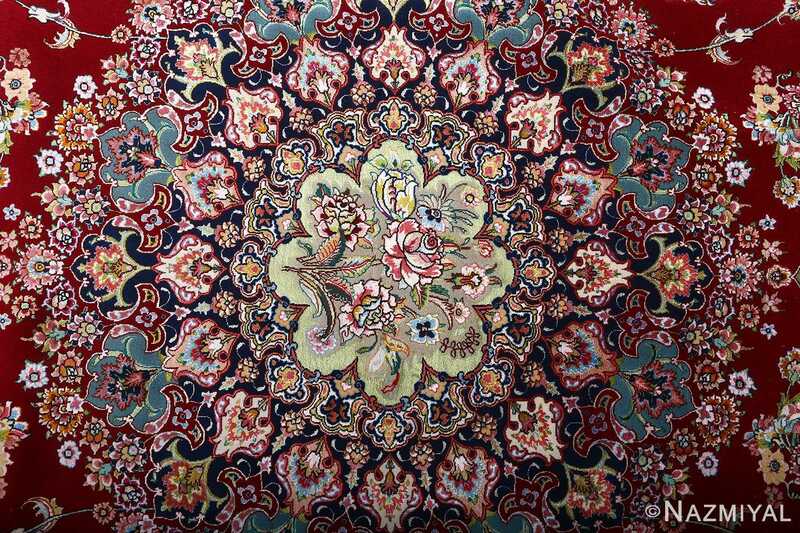 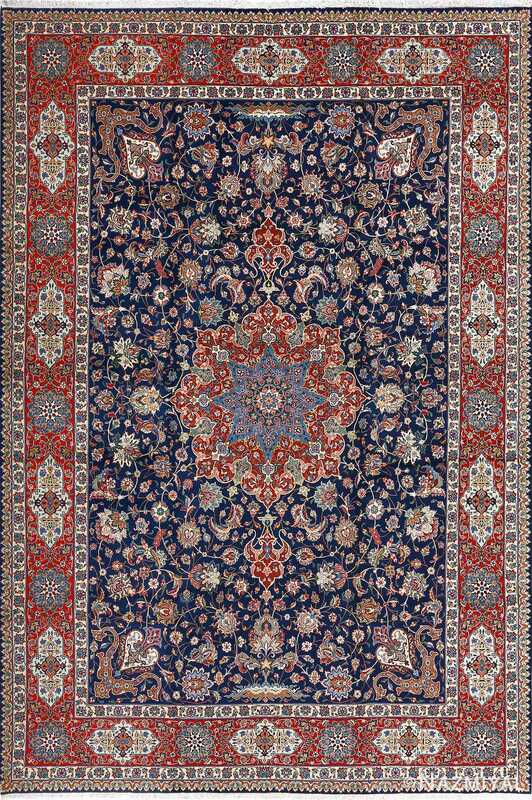 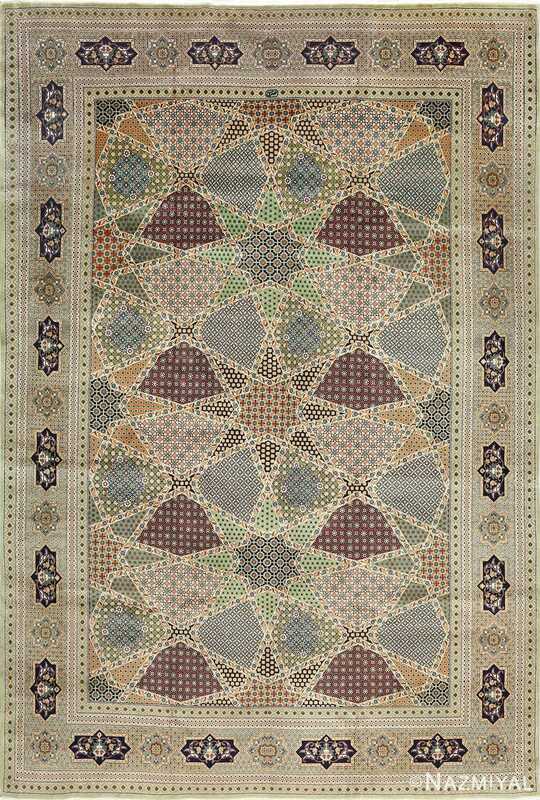 Stony blue, milky white and elegant beige tones come together in this beautiful vintage Persian rug to define the activity at the hart of the vintage Persian rug, where many petals and blossoms create a symmetrical array of details that stand out in stark contrast against the scarlet of the backdrop. 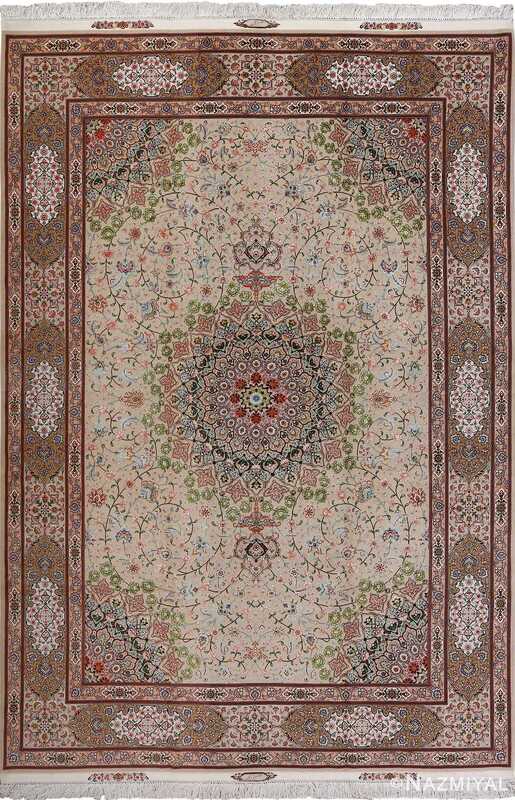 The several borders surround the core of the jewel toned rug, where each background color matches the activity at the foreground to create a more unified piece, kept grounded by the depth of the borders and presence of rooting vines and stems.